Last year, 12 teens in five Stark County school districts took their own lives, prompting the Centers for Disease Control and Prevention to investigate it as a “suicide cluster” with a “contagious” element. In June, the CDC released a report saying that Ohio’s suicide rate had increased by 36 percent between 1999 and 2016. The 1,706 suicides in 2016 averaged five per day, or one every five hours. The Alliance City School District takes these staggeringly high numbers seriously. The district has begun a program to combat a major cause of suicide: social isolation. The district has adopted “Start With Hello,” a program that originated with the Sandy Hook Promise. The program is dedicated to publicizing and combating the growing epidemic known as social isolation. “Social isolation is the overwhelming feeling of being left out, lonely or treated like you are invisible,” according to the “Start With Hello” website. It can lead to health problems such as depression and anxiety, and an increased risk of suicide. School counselors will implement activities aimed at getting students out of their comfort zones and getting to know each other better. Their efforts will range from classroom conversations to all-school assemblies, all aimed at bringing social isolation to an end. “My first mission is the safety of my students,” said guidance counselor Allison Morrison, who heads the program at Alliance High School. She said that while she has not dealt with thoughts of suicide, she knows many people who have. In her job as guidance counselor, she sees the damaging effects of social isolation. Using the program, Morrison and other counselors tell students how to look for signs of social isolation in themselves and others, along with resources to combat the problem. She implores them to seek help if they or their friends have thoughts of suicide, and to remember that saving a life is far more important than saving a friendship. The program at Alliance High began during national Suicide Prevention Week. 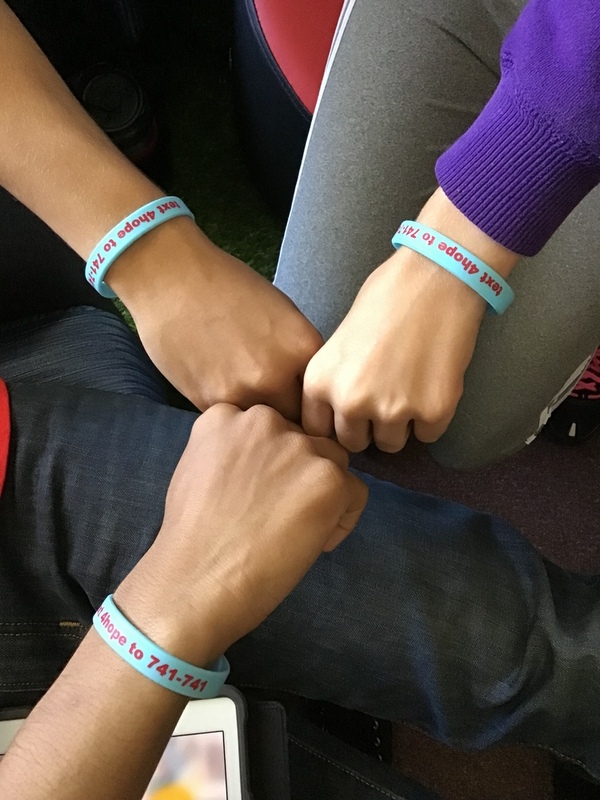 On Sept. 12, students took a survey that asked about their feelings and received bracelets promoting suicide prevention. The last week of September became “Start With Hello” week at the high school. On Sept. 24, students watched a video from Beyond Differences, an organization that fights stereotypes and promotes inclusiveness in high school and middle school. The discussion that followed focused on what social isolation is, how it affects young people and how to spot signs in fellow students. After all, the first step to saving a life is identifying a person who needs saving, Morrison said. On Sept. 26, students were randomly given name tags of different colors. Then they had to sit at the table in the cafeteria that matched the color of the tag. The hope was that students would be introduced by their names - not a label or a stereotype - and that conversations would spark new relationships. The week’s activities wrapped up on Sept. 28 when a large board in the high school lobby was covered with sticky notes. On each was a compliment, written by a student. The idea is that if a student feels the need for a compliment on a particular day, he or she should take one, then leave a new compliment for another student in its place.